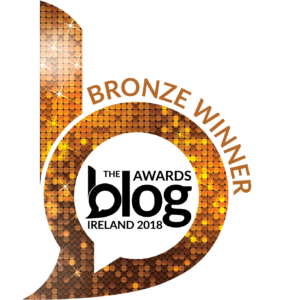 Titanic Belfast recently scooped the gong for Europe’s Leading Tourist Attraction at the World Travel Awards, beating off competition from ever popular hot spots including the Eiffel Tower in Paris and La Sagrada Familia in Barcelona. 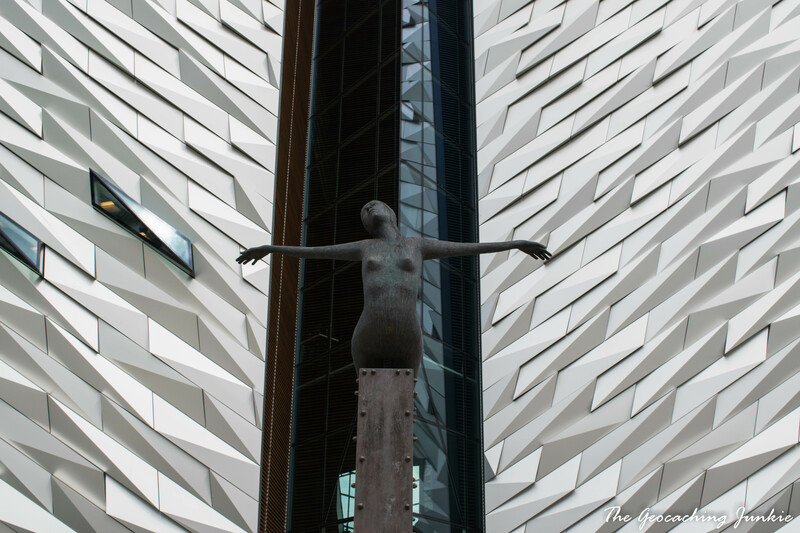 The Titanic experience consists of numerous interactive galleries telling the story of the doomed liner, from its construction at the nearby Harland aand Wolff shipyard to its final resting place at the bottom of the Atlantic. You can also bump up your ticket to include afternoon tea by the impressive replica of the Grand Staircase. 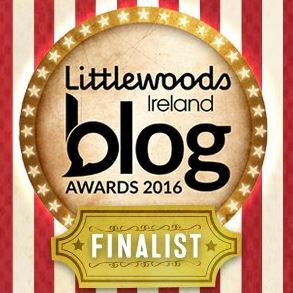 Information on ticketing and prices can be found here. 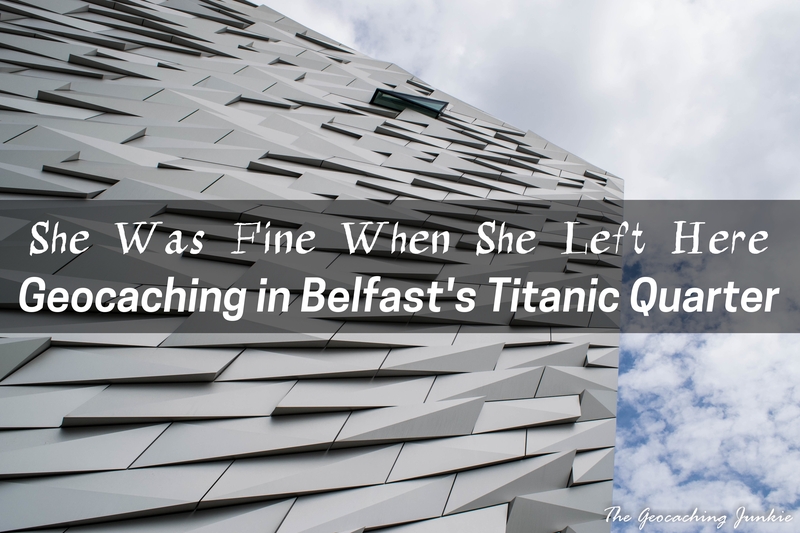 If you don’t want to pay to get inside or are simply more interested in geocaching than walking through an exhibit, then lucky for you, the caches in the Titanic Quarter are always the ones I recommend when I’m asked where the best caching is in Belfast. Possibly my favourite cache in Belfast and a great one to start off your tour of the Titanic Quarter, this wherigo is based on the popular murder mystery game Cluedo (or Clue in the USA), but with a Titanic twist. While you’re walking round in circles trying to solve the murder, you can also pick up the first cache in the Titanic Quarter series. 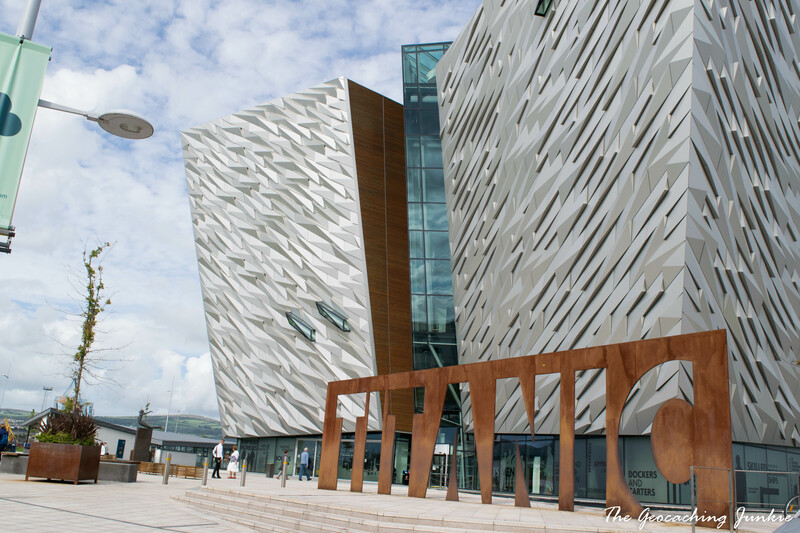 This area, known as the Slipways, is where both the Titanic and the Olympic were constructed. Take time to soak up all the amazing little details like the life size plan of the Titanic’s promenade deck set in to the ground in white stone, or the series of wooden benches etched with morse code sequence which spells out the Titanic’s distress call. This area can often be closed off for various events like BBC Proms in the Park and Belsonic music festival, so make sure to check the cache page for availability or here for information on events happening in Titanic Quarter when you visit. 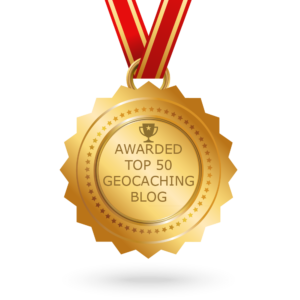 There are currently 12 caches active in the Titanic Quarter series and I won’t list them all here, but I’ll highlight my favourites. 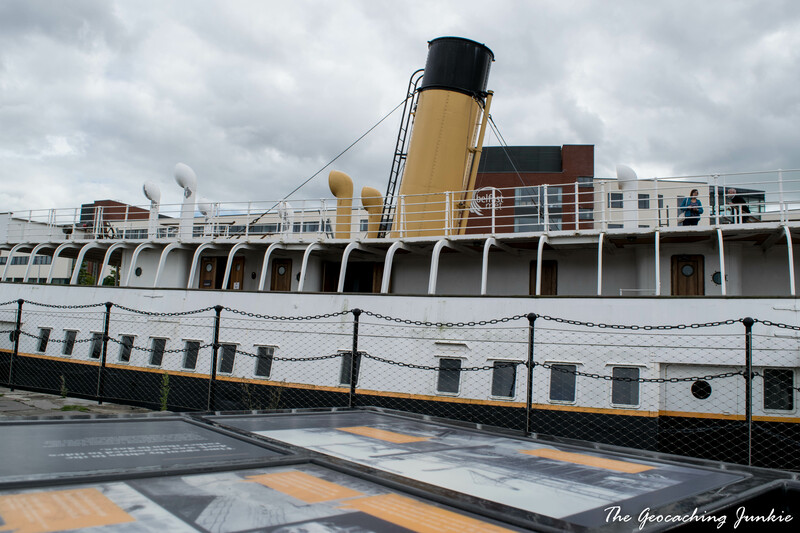 Hamilton Dock is home to the SS Nomadic, the last remaining White Star Line ship in the world. 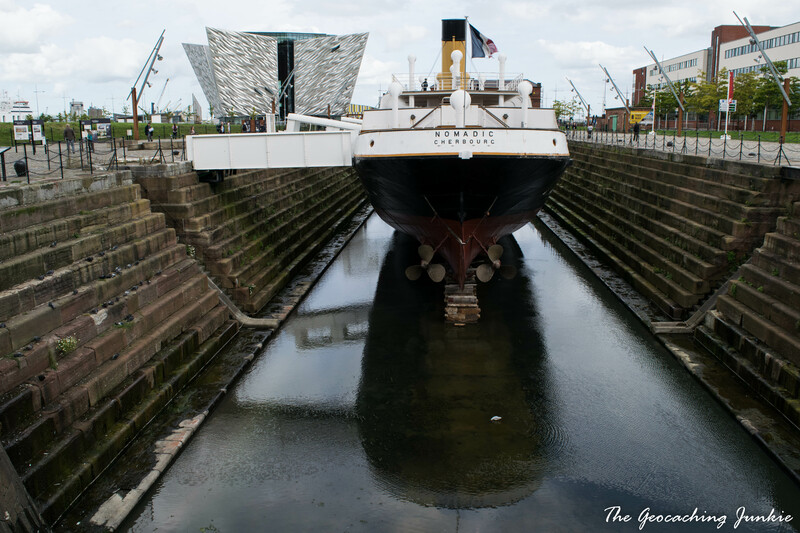 The ship, which was built alongside the Titanic in 1911, has been entirely restored to its original glory and you can buy tickets to take a tour of the interior. If you don’t want to fork out for the tour, a walk around the outside and the many interactive plaques will give you plenty of information. The Nomadic’s most famous task was to ferry passengers from the shallow waters of Cherbourg dock to the Titanic in April 1912. The Nomadic regularly ferried passengers to larger cruise liners from Cherbourg, including some very famous faces like Charlie Chaplin, and Elizabeth Taylor and Richard Burton, shortly after they first married in 1964. After circling the Nomadic, make your way towards Abercorn Basin and maybe grab a cup of tea or coffee at the Dock Cafe on the way. The cafe is run by volunteers and there is no price list – just an honesty box where the customer decides what to pay. You can bring your own food or choose one of the yummy scones or bakes on offer. 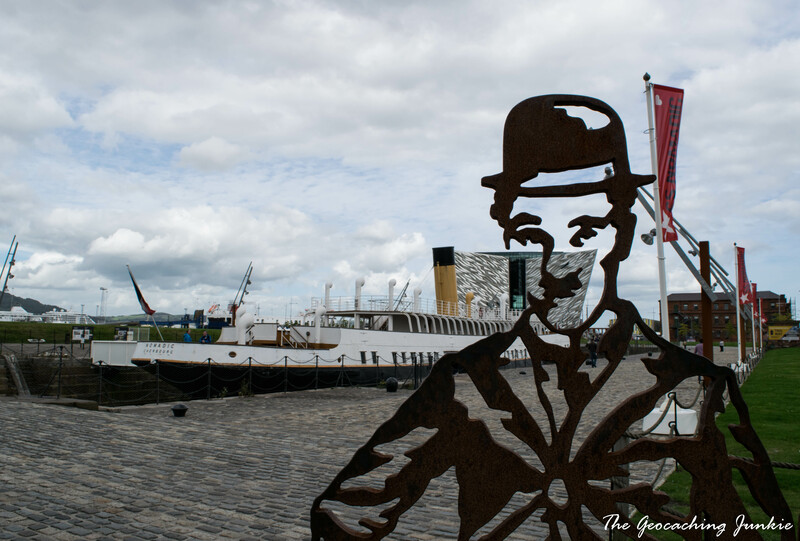 There is a great view of the iconic Titanic building with the Nomadic in the foreground from Abercorn basin. 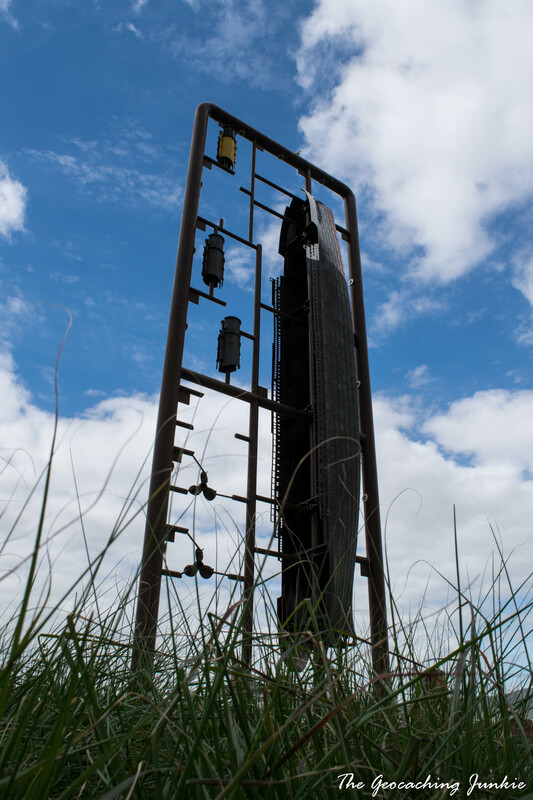 Don’t miss the very cool artwork by English sculptor Tony Stallard entitled Kit. 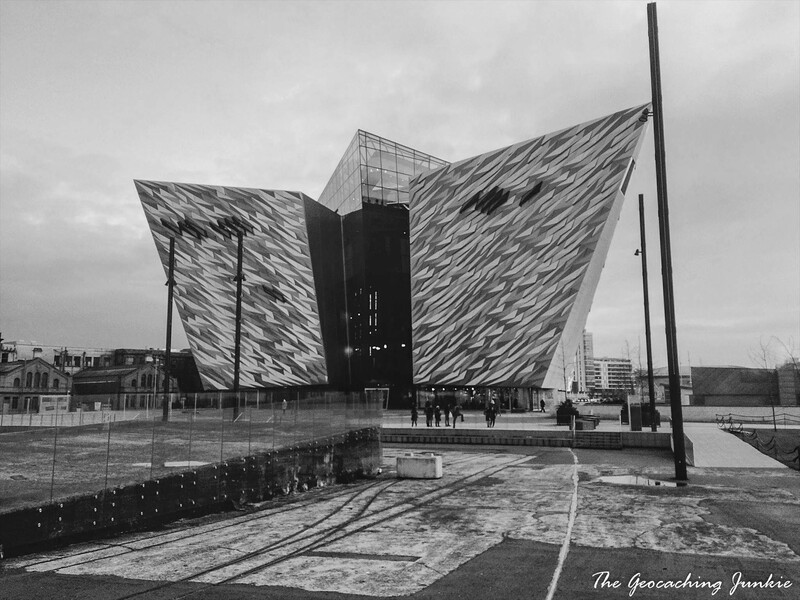 A quick detour outside of the Titanic Quarter and the cache In The Footsteps of Iron Giants brings you to a great vantage point to appreciate the mammoth gantry cranes, nicknamed Samson and Goliath. 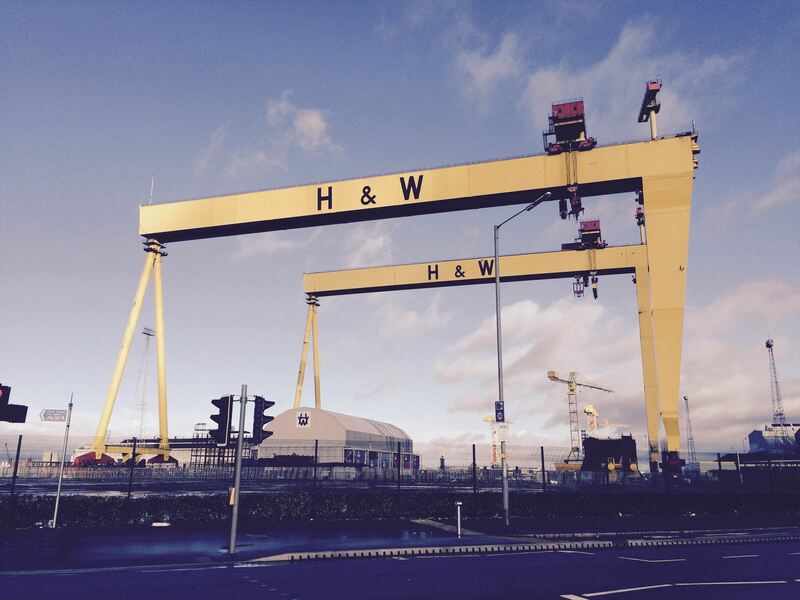 The yellow cranes marked with the letters of Harland and Wolff have become synonymous with the Belfast skyline. 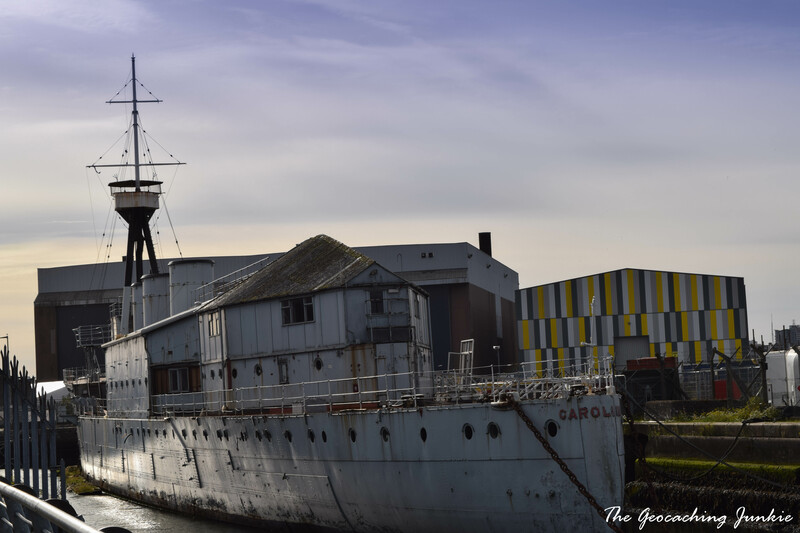 Another popular attraction in the Titanic Quarter is the restored World War I battle cruiser, HMS Caroline which sits in Alexandra Dock. 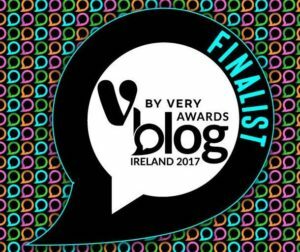 The ship was converted in to the floating headquarters for the Royal Navy Volunteer Reserve in Belfast after World War II. You can buy tickets to take the tour inside here. The cache here is a clever one and the most favourited in the series. 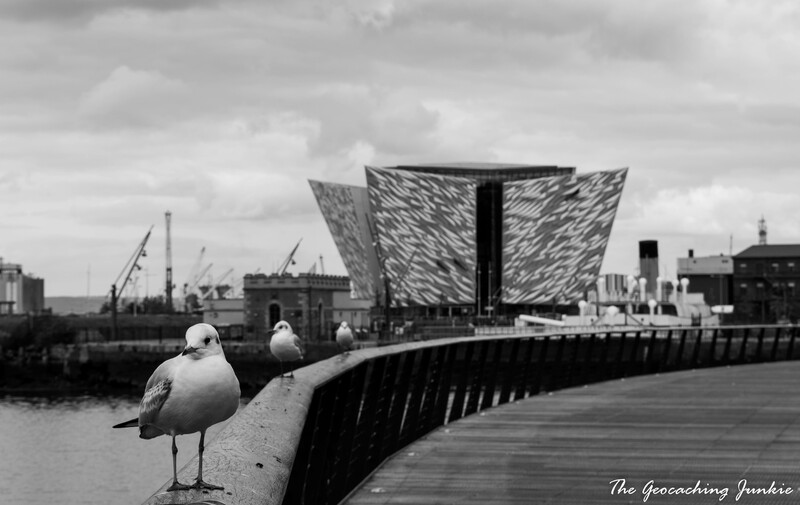 There are lots more caches in this area and it’s worth doing them all to get the full experience of what the Titanic Quarter has to offer. There are some nice cafes and restaurants dotted around too, if you work up a thirst or hunger from all the caching.